Red tartan trousers without back pockets. 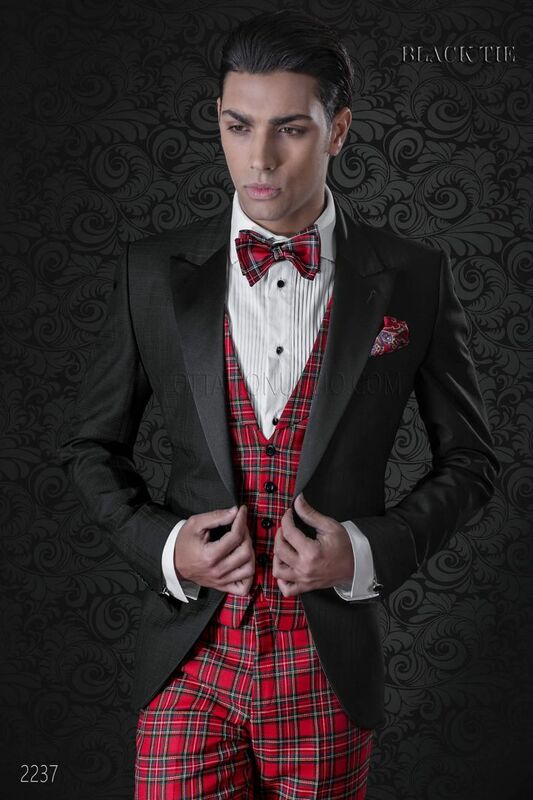 Waistcoat made from red tartan wool with 4 ONGala signature buttons closure. Handkerchief made from red cachemire printed silk.